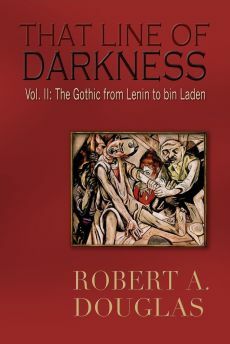 Had I still be writing That Line of Darkness: The Gothic from Lenin to bin Laden (Encompass Editions, 2013) the following essay would likely have constituted my epilogue. "We ought to keep all these foreigners out of the country, and what I mean, the Kikes just as much as the Wops and Hunkies and Chinks." – From Sinclair Lewis' 1935 novel, It Can’t Happen Here. – Elizabeth Drew, "The New Politics of Frustration," The New York Review of Books, 01/14/16. 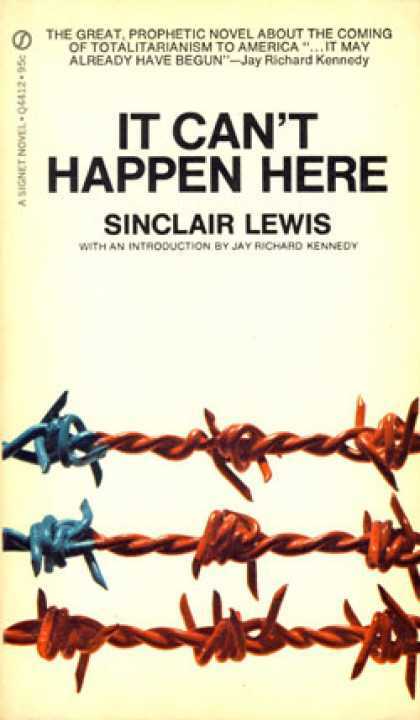 It is tempting to compare the Presidential campaign of the pitchfork-populist billionaire Donald Trump with that of Lewis’ Berzelius "Buzz" Windrip, a charismatic Senator who is elected to the presidency in Sinclair Lewis' It Can’t Happen Here. 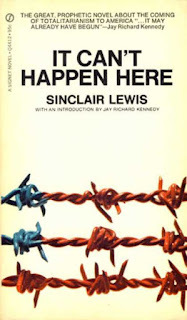 Parts of this 1935 dystopian novel, in which women and minorities – those “who are racially different from us” – are stripped of their rights, dissent is outlawed, and a paramilitary force and concentration camps are established, may initially appear implausible, but it would be a mistake to dismiss any comparisons as ludicrous or farfetched. A large portion of the novel documents how liberties are stripped away and a draconian dictatorship ensues, but I think the most relevant chapters are the early ones that explore Windrip’s appeal before he was elected President and implemented his totalitarian system. Similar to the Louisiana demagogue Governor Huey Long (whose presidential aspirations were upended by an assassin’s bullet while Lewis was writing the novel), the authoritarian Windrip appeals to America's“Forgotten Men” by promising drastic economic and social reforms while promoting a return to patriotism and traditional values. Posing as a populist, he is described as a “professional Common Man” who drew crowds of “hungry miners, dispossessed farmers, Carolina mill hands,” and on another occasion he filled Madison Square Garden with “Manhattan peasants” who were “facile material for any rabble-rouser.” The similarity between Windrip’s vulnerable supporters and Trump’s core constituency of unprosperous, resentful men, including “white nationalists,” is striking. Windrip’s chief antagonist and Lewis’ spokesman is a small-town, independent minded, newspaper editor, Doremus Jessup, who values above all the “free inquiring critical spirit,” a character whom one commentator compares to the democratic socialist, Presidential candidate Bernie Sanders. (I would suggest that the analogy is slightly misplaced since Jessup describes himself as a Liberal in which the transfer of resources is a lower priority than his indictment of “all cruelty and intolerance.”) Jessup excoriates Windrip as a bombastic huckster, a “vulgar and almost illiterate” actor who would “whirl arms, bang tables, glare from mad eyes, vomit Biblical wrath from a gaping mouth; but he would also coo like a nursing mother, beseech like an aching lover, and in between tricks would coldly and almost contemptuously jab his crowds with figures and facts – figures and facts that were inescapable even when, as often happened, they were entirely incorrect.” In sum, Windrip is an anti-intellectual, manipulative politician who has at best a capricious relationship with the truth. Sound familiar? Trump is most (in)famous for his braggadocio and abrasive style. Because of his capacity as a “deal maker,” he promises that he “will get things done.” His mantra – America is a “crippled nation” that only he can correct – is sustained by false data and outlandish proposals. His most egregiously false claim is that of seeing thousands of New Jersey Muslims celebrating 9/11. Like Windrip, misinformation, trash talk and contempt for others have not damaged his electoral appeal for a certain white demographic: the economically insecure and socially depressed working class who cheer Trump’s phantasmagorical spectres of marauding foreigners. That demographic may yearn for the sanctity of the 1950s “white picket fence” family but working-class whites are losing a battle that began when the 1965 Immigration Act ended immigration procedures based on race and ancestry. Therefore, they thrill to Trump’s ethno-nationalist populism as he adopts his carnival-barking persona to fire up crowds, depicting Mexican immigrants as rapists and drug traffickers who must be forcibly expelled from the country. To keep them out, he will build a 2,000-mile wall while forcing Mexico to pay the cost. He may have garnered national and international outrage with his proposal for a “total and complete shutdown of Muslims entering the United States,” but he enthralls his followers whenever he demonizes “the other” because he validates their anger and resentment. In that speech, he cited the decision by FDR to intern Japanese Americans during World War II as a relevant historical precedent. 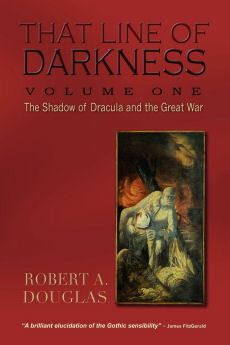 Yet the passage of history has condemned that executive order as a terrible human rights violation and a “blemish on Roosevelt’s wartime record.” A federal study in the 1980s found "no justification in military necessity" for the program, which said it was caused by "race prejudice, war hysteria and a failure of political leadership." It would appear that Trump has no qualms about mobilizing a similar form of hysteria. Recall the repellent Sieg Heil outburst at a Trump rally. He knows he has the support of a vocal core that wants to turn the clock back fifty years when jobs were plentiful and whites were in the ascendancy – evidence and logic, be damned! Sixty-three percent of Trump supporters wished to end birthright citizenship for the children of illegal immigrants born on U.S. soil – a dozen points higher than the norm for all Republicans. More than other Republicans, Trump supporters distrusted Barack Obama as alien and dangerous: Only 21 percent acknowledged that the president was born in the United States, according to an August survey by the Democratic-oriented polling firm PPP. Sixty-six percent believed the president was a Muslim. Perhaps Trump’s dalliance with the birthers – who maintained against all the evidence that Barack Obama was not a legitimate President because he was not born in Hawaii but in Kenya – was, until the recent Presidential campaign, his most notorious example of exploiting baser American instincts. Apart from the fact that little was made about Chester Arthur and other Presidential candidates, including Ted Cruz, who were not born in the US, the birther campaign was clearly a cover for a virulent racism targeted at the first African-American President. Trump intuitively knew how to stoke the prejudices of the nativist grass roots right of the Republican Party by demeaning “ the current president [who] came out of nowhere … [T]he people who went to school with him they never saw him, they don’t know who he is. It's crazy. ” Obama was not even a person but a spectre. From the moment Trump announced his candidacy to become President, he has given voice to the ugliness of dog-whistle politics that he has spent most of his life mastering. He still will not renounce his allegiance to the birthers; that would be acknowledging a mistake, something seemingly beyond his capacity. His increasing support has presented the Republican grandees with a crisis, one that they have sown over the years. They have whipped up a whirlwind of fear and divisiveness that was largely directed at Obama. Republicans, with more than a little help from Fox News and right-wing radio, gradually capitulated to a politics of unreason and made it plausible for an outlier like Trump, who has never held any political office, to become the standard bearer for the Republican Party in the 2016 Presidential election. 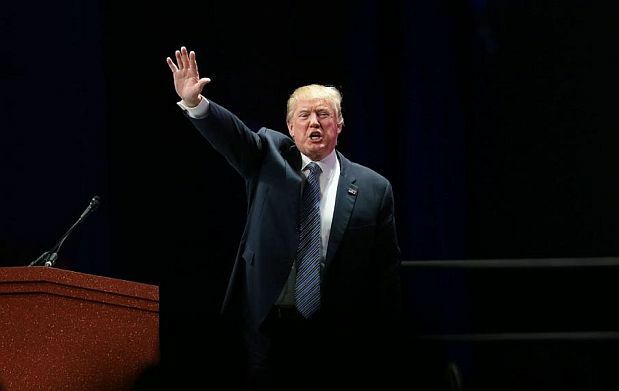 Time will tell whether his candidacy has been given a boost or a hit among more moderate Republicans by the blustery, if often incoherent, endorsement of his political doppelganger, the wacky Sarah Palin, still a favourite among evangelicals and Tea Party insurgents. Her endorsement is apt: Trump and Palin share a cavalier disregard for evidence and both thrive on celebrity and populist appeal. The difference is that she was egregiously out of her depth as the 2008 Vice Presidential nominee behind John McCain; Trump may not be in spite of (or because of) his self-aggrandizing narcissism. With his bombastic rhetoric and fear mongering, Trump has set a noxious tone for the Republican primaries by lifting the barriers to the virus of ethnic and religious exclusion. He has teased out the worst instincts in his rivals and those unable to resist the siren song of Trumpism. Ted Cruz, Trump’s closest rival, brandishes the endorsement of a minister who says Hitler was a “hunter” sent after the Jews by God. Other Republicans have sounded the tribalist alarum by saying that Islam is inherently violent and inconsistent with constitutional values. Retired neurosurgeon, Ben Carson, whose campaign is thankfully imploding, has compared Syrian refugees to rabid dogs. 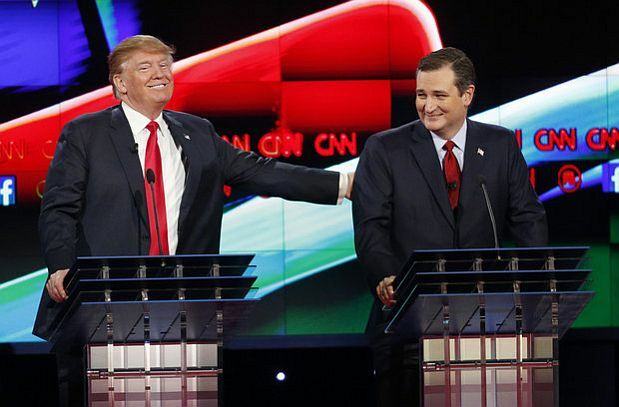 Jeb Bush and Cruz have both stated that the United States should accept only “proven” Christians from among the refugees fleeing violence in Syria and Iraq. Marco Rubio, the latest hope of the Republican establishment, has vowed he would permit the intelligence services to do “whatever it takes,” to make terrorist suspects talk. In Tennessee, the chairman of the state legislature’s GOP caucus has called for the mobilization of the National Guard to round up Syrian refugees and put them in camps. The invective against Muslims has not been limited to Republicans. The Democratic mayor of Roanoke, Va., cited the internment of Japanese Americans in camps during World War II, under suspicion because of their race, as a positive lesson for dealing with Syrian refugees. The current guttersnipe and sour analogies are in sharp contrast with what George Bush said 20 September, 2001 to a joint session of Congress. During the speech, Bush took the high road: “The terrorists practice a fringe form of Islamic extremism that has been rejected by Muslim scholars and the vast majority of Muslim clerics – a fringe movement that perverts the peaceful teachings of Islam.” In other words, Bush to his credit made a fundamental distinction between radical Islamists and Islam, a distinction that is rarely made by Republicans today. With a Democrat now in the White House, especially one that for a variety of reasons hardline conservatives loathe, there is no inhibition to restrain their hatred, some of it visceral, toward Obama who has faced scorched-earth opposition since he assumed office. It’s no longer enough to belittle President Obama’s activist view of government, his policy on Syria and the Islamic State, or to denigrate his exercise of diplomacy as appeasement, implying that he is another ignoble stand in for Neville Chamberlain. His most vicious critics stoop to ad hominem assaults: he is a “feckless weakling;” he doesn’t want America to lead or be strong; he was raised differently than the rest of us so he does not love our country. Such vituperative pronouncements are less than six steps away from invective that Joe McCarthy used to hurl, which might explain why some pundits have compared Trumpism with McCarthyism. The official rhetoric demonizing Muslims as the “other” has had a devastating impact on American Muslims. Islamophobia appears to be flourishing. There is plenty of evidence that Muslims are being assaulted, and that many Americans regard them as un-American and want all mosques closed. More than half of the nation's governors, the vast majority of them Republican, have called on the U.S. to stop admitting Syrian refugees, most of them promising to prevent them from entering their states. 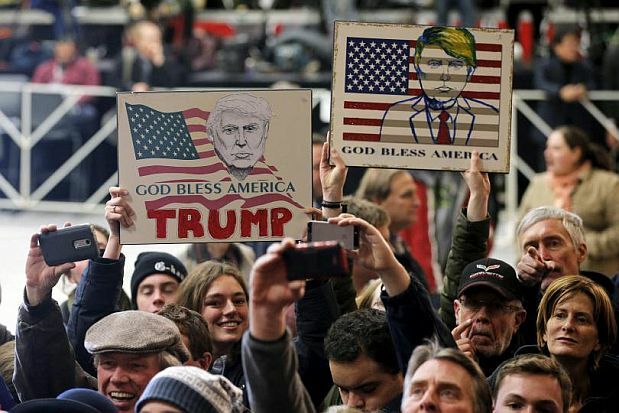 Granted my evidence may be selective given that I have been focusing mostly on the Republican base, but there does appear to be mean-spiritedness among Americans who historically, with certain exceptions, welcomed foreigners and celebrated the country’s diversity and pluralism. As a Canadian, it is hard to miss the stark difference between the fear and distrust of Americans and the generous Canadian welcome, both official and public, of Syrian refugees since Justin Trudeau became Prime Minister last October. And how does It Can’t Happen Here conclude? After escaping from a concentration camp, Jessup decamps to Canada, but instead of remaining, he regroups and returns to America to join an underground movement. I know it may be fanciful, but the 2016 Republican political circus could result in more than a fantasy unless someone with character is able to reverse the depth to which the GOP has descended and persuasively appeal to the better angels of the American nature.